Situated between Lausanne and Chillon Castle alongside Lake Geneva, Lavaux is one of the most beautiful parts of Switzerland, with its man-made vineyard terraces listed as a UNESCO world heritage site. The area is equally known for its walks, villages and, of course, its wines. 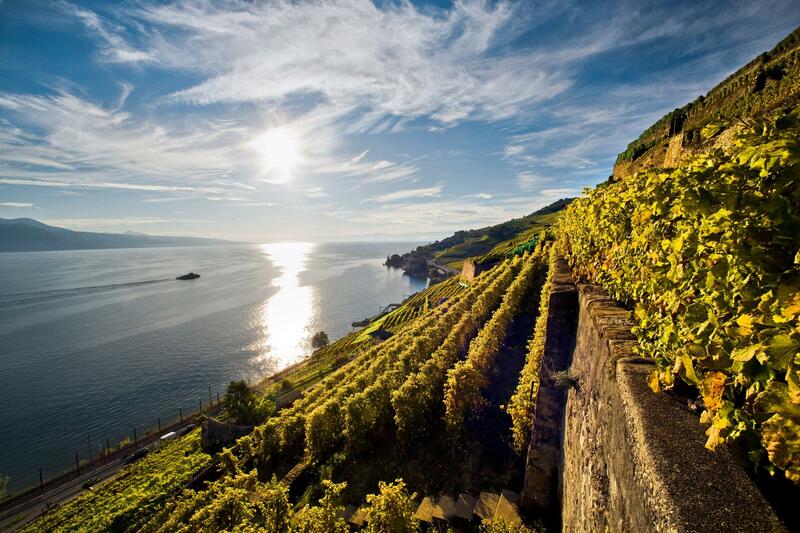 In the 13th century, to overcome the steep gradient in the Lavaux area, the monks started to build stone wall terraces and plant vines in them. 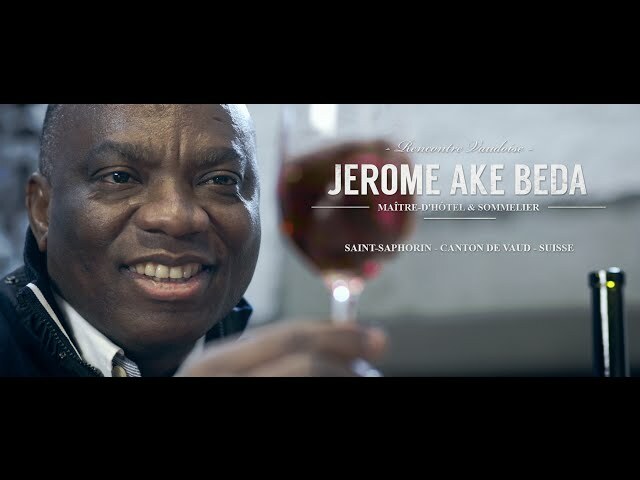 The result of this hard labour, which is part of the beauty of Lavaux, earned the site its inclusion as a UNESCO cultural world heritage site. The monks passed on the mantle to the wine-making families who have since maintained the vines and walls with the same dedication and passion. 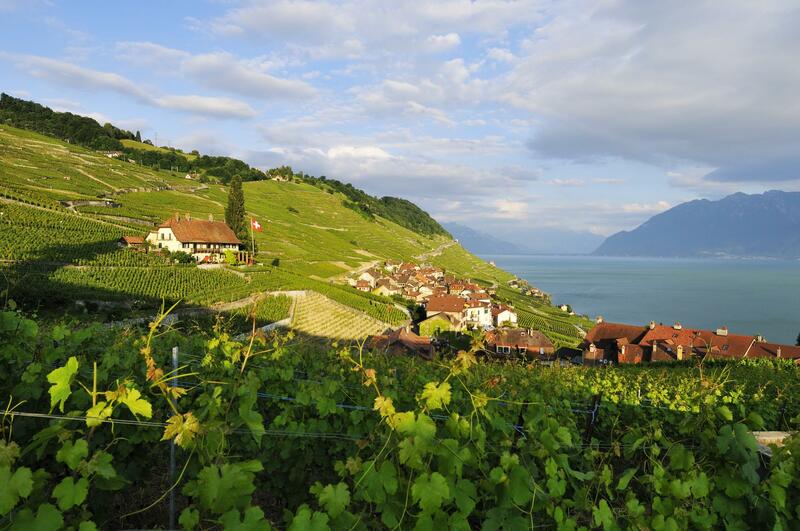 Chasselas, Plant Robert and Pinot Noir are among the various grape varieties cultivated in Lavaux, producing some of the finest Swiss wines, as evidenced by the tastings wine enthusiasts can enjoy as they follow the many marked trails through the picturesque villages.